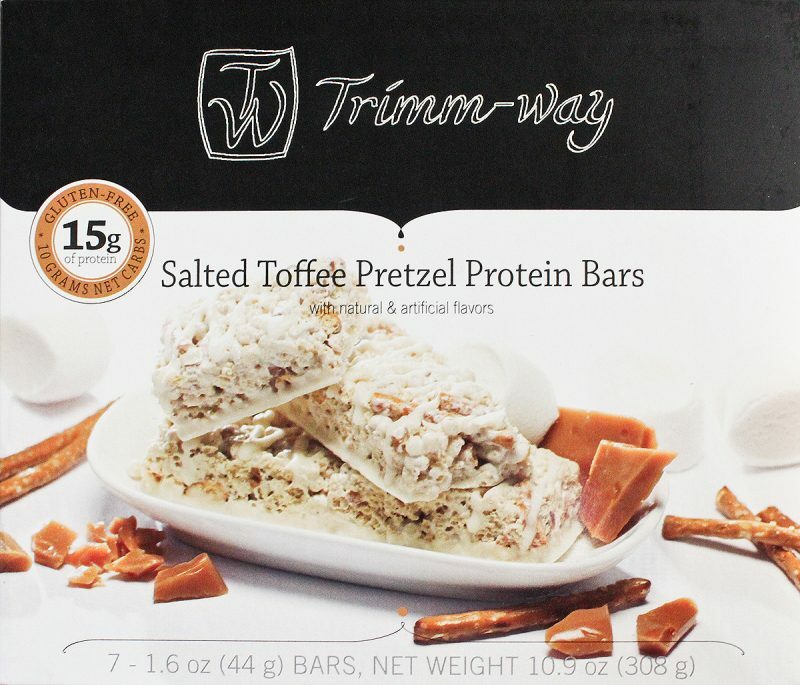 Trimm-way’s Salted Caramel Pretzel Protein Bars are a client favorite. Looks like and tastes like a ‘rice crispy treat’ — with an amazing combination of salty and sweet. Each bar has 15 grams of protein and only 160 calories. High Fiber (8 grams) and Gluten-free. 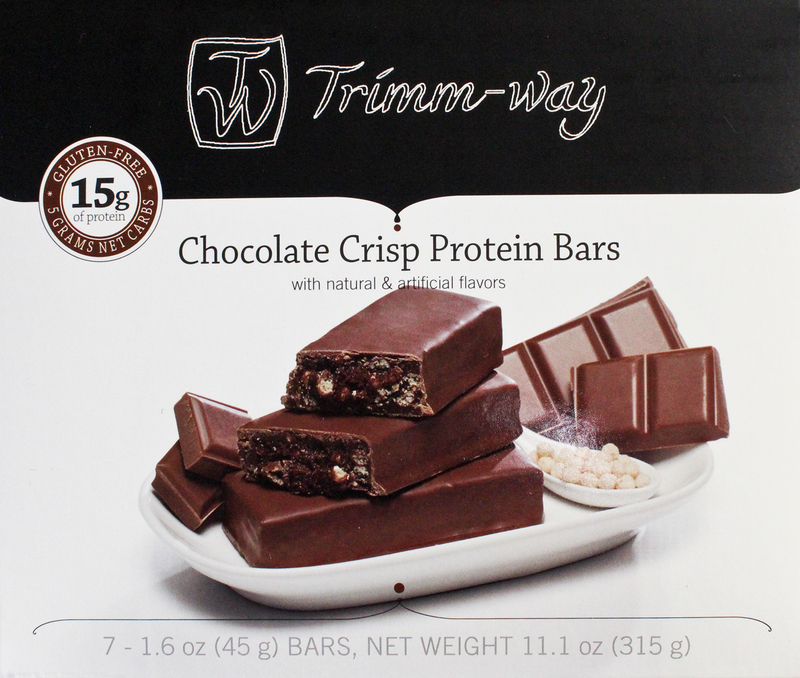 Trimm-way’s Chocolate Crisp Protein Bar with chocolate coating will satisfy your chocolate cravings, with a superior taste. 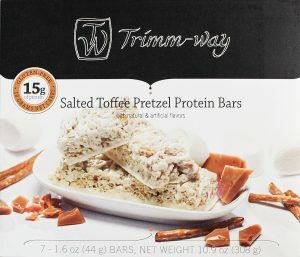 Very low carb and high fiber bar with 15 grams of protein, a whopping 12 grams of fiber, and only 5 grams of net carbs. Gluten-free.